Hair. Oh, hair. I feel like no girl is 100% happy with their hair. It’s one of those grass is always greener situations- if it’s short, you want it long. Long wants short. Straight wants curly. Blah, blah, blah. 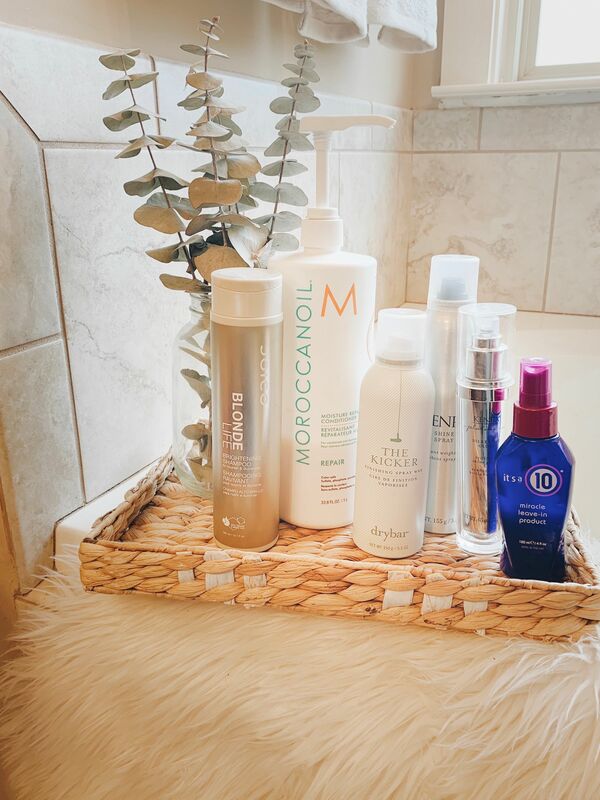 I will tell you I am SO much happier with my hair recently than I ever have been in the past and I think it’s because of this line up of my hair care favorites. I realized, much like finding a skin care routine that works for me, I wasn’t just going to have my dream hair. I needed to find the best hair care favorites to achieve my dream texture, shine, and style. So what is my dream hair? Well, let’s start with how my hair is naturally. I have a little more textured hair, it’s on the thinner side and goes between a slight awkward wave and weird curls if I leave it to its own devices. I do like having some texture in my hair but I also like it to look soft and smooth. For me, it’s all about finding balance. I do think my new routine is definitely helping me achieve my dream hair, even my hair stylist noticed during my last visit and complimented how different my hair feels recently! 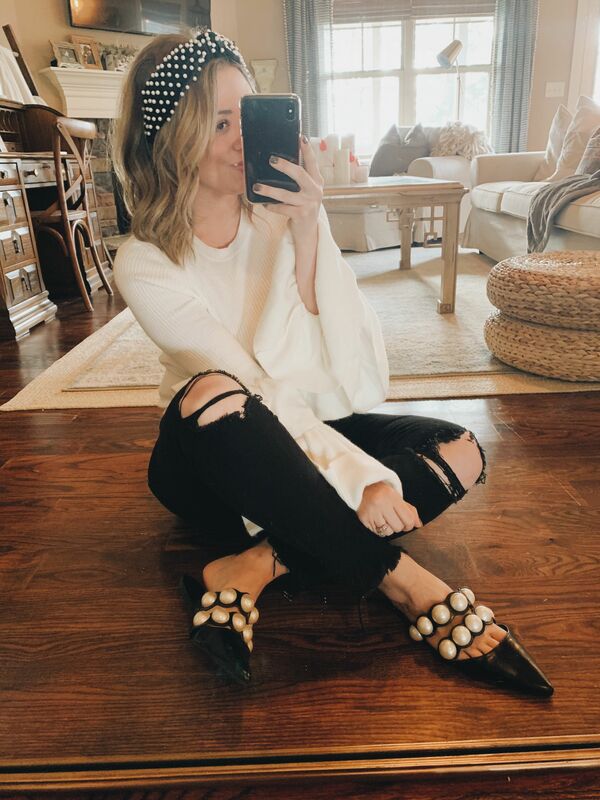 Starting with the wash, I look for products that are going to help keep my blonde hair from turning brassy and then a conditioner that helps repair past damage and prevent future damage. 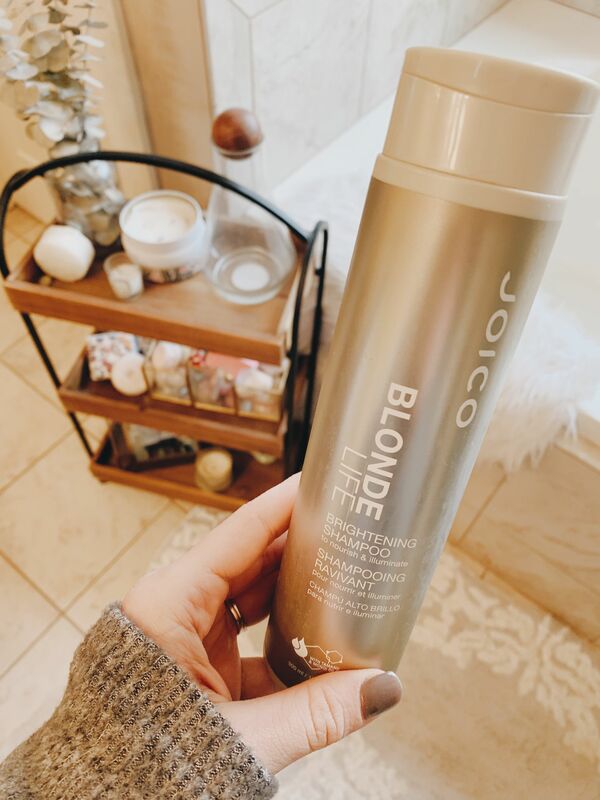 For shampoo, I’ve really been loving this Joico Blonde Life Brightening Shampoo. It’s very reasonably priced and I really like the way it makes my blonde look and last. Every three washes, I’ll use this Kevin Murphy Blonde Angel Purple Treatment and I feel that it really pulls out any of the brassiness that can come with dying your hair blonde. It really helps my color last so much longer than it used to. It’s really important for me to have a very moisturizing conditioner. My hair can get very dry if I’m not proactive about the moisture. 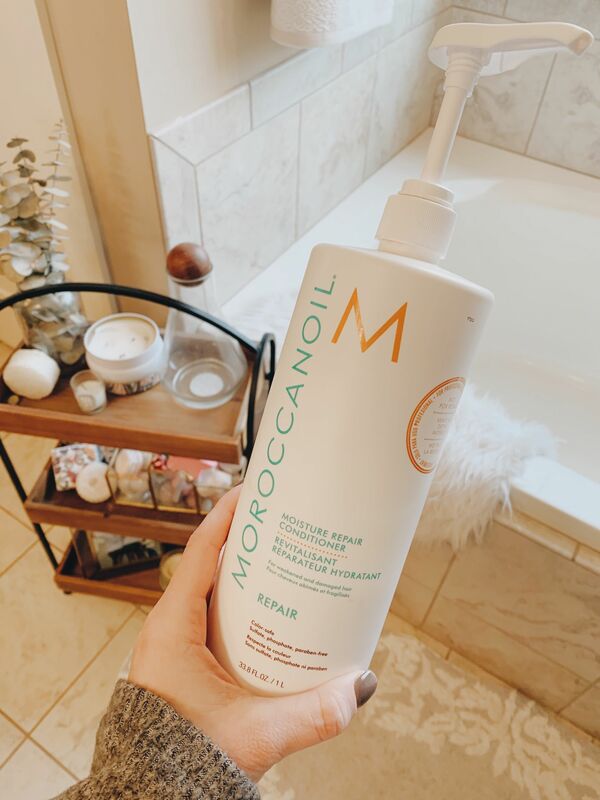 I have been using this Morrocan Oil Repair Conditioner and I’m a huge, huge fan! I use a large dollop and then comb it through while in the shower. I really think it has been one of the main components of getting the softer hair I wanted! After washing my hair, I think prep is huge at achieving whatever goal you’re looking for. Since I already have slightly textured hair, I am still working on incorporating more products to get a sleek, smooth look and will focus on texture while styling. I am usually in a huge hurry so I like my prep to be quick and easy. I start by spraying about 3-4 pumps of It’s a 10 Leave in Miracle. When I get about a fourth into the bottle, I will add a little hot water and shake it up. I do this about every 3 weeks and it keeps the product lasting so much longer! In addition to the miracle spray (which really does work miracles), I also use three pumps of Kenra Silking Gloss, focusing on my ends and baby hairs around my face. I think both of these products together really help with split ends, softening hair and providing more shine. Finally, I blow dry and style! With my hair being short right now, I use this GHD Curling Iron. It is pricier but my favorite of all my hot tools, even better than T3. It heats up in 30 seconds and works so well that it takes no time to style. Before I curl my hair though, I like to use a dry texture spray. I’m a huge fan of Living Proof Instant Texture Spray but I’m currently out, but more is on the way! After curling, I spray with two things. I use Drybar The Kicker Finishing Spray to seal my style and help loosen up the curls and then I add shine with Kenra Shine Spray. ps. all the Kenra products smell AMAZING. I use a lot of her line and it is seriously because it works well and smells even better.